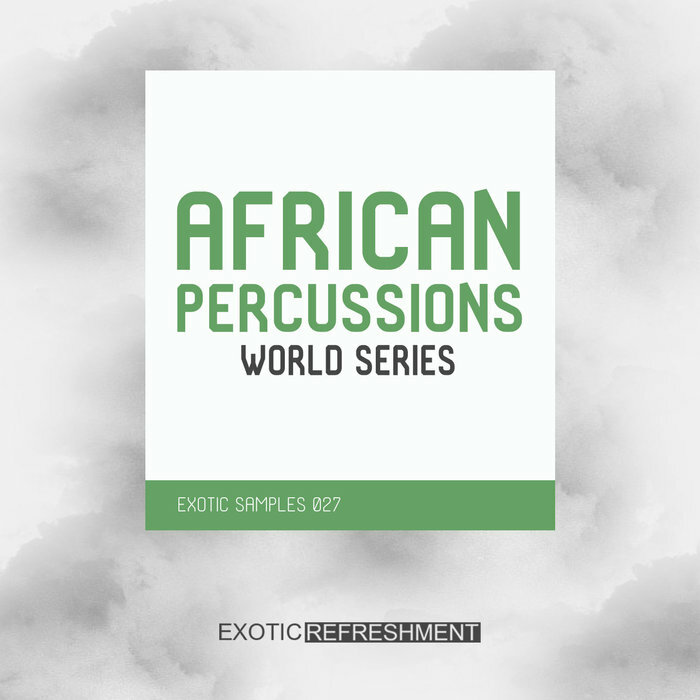 Exotic Refreshment are proud to present "African Percussions - Exotic Samples 027", first sample pack of our new World Series. Sample pack includes 115 African Percussion Loops that you can use to produce a variety of music genres like house, afro house, deep house, downtempo, electronica, tech house, techno, you name it! Additionally you will also find there 10 of our favorite Kick Loops (clean, without any other drums for your better control over the loop), and 10 Ambience Loops containing the sounds of nature, jungle, animals, birds, monkeys, insects, wind, tree creak, river and African city. It is also worth to mention that to achive warm rich analog sound, all samples were recorded using Studer A800 Multichannel Tape Recorder. Pack includes total number of 135 loops in WAV 44.1 kHz, 24-bit format. PLEASE NOTE: Sound Effects used in the Demo track are from our other sample pack "Sfx vol. 2 - Exotic Samples 013".